If you are a teen of the 1980’s you grew up with MTV and the Music Awards Show. It was our Oscars. We loved to see the great bands and all of our favorite bands. It shows how old I am when MTV celebrated it’s 30th birthday earlier this month. 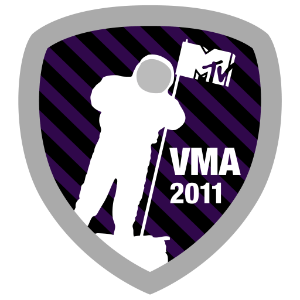 Even though MTV doesnt show many music videos anymore they still have the VMA’s and they have teamed up with Foursquare to offer a new badge. Dust off your meat dress and get ready for the 2011 MTV Video Music Awards on August 28th! Earning this badge just entered you to win a trip for two to attend the show in LA – your Teenage Dream come true! Follow MTV and check in to a venue with the main category of Music Venue, Concert Hall, Piano Bar, Jazz Club, Rock Club, or Record Shop between August 9 and August 28.